Just as the name would lead you to believe, a bat maternity colony is a maternity colony of bats — a group of bats that come together to have babies and nurse their young. In the animal world, although the males aren't exactly known for sticking around when the youngsters are born, the females of quite a lot of animal species will club together to keep each other safe, warm, and fed when they all need it the most. As they say, there's safety in numbers. When do bat maternity colonies come together? It is during the spring and summer that these colonies will form, when the cold winter weather is over and there is plenty of food around once again. Bats will either go into a state of torpor — like hibernation — or they will migrate for winter. It is usually too cold and there is not enough food for a bat colony to survive where they choose to hang out during the summer. How long will a bat maternity colony last? The start and end point of a maternity roost of bats will very much depend on where in the United States you live, as well as the species of bat that you're talking about. 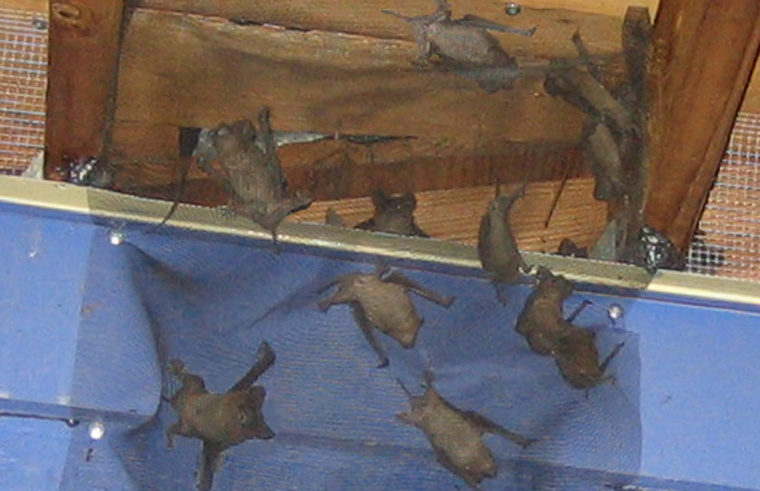 A number of American “pest” bat species will create these roosts, ranging from a tens of bats to thousands and millions of bats in some cases. The Little Brown Bat will create a roost that can be up to five hundred bats strong in a single attic, but the Mexican Freetail Bat come together in their MILLIONS — as many as 15 million in the biggest instances. This isn't usually within an attic, however, but more in caves and abandoned large buildings or estates. You will need to know the species of bat in your attic (or similar space) to work out not only how many bats you are likely to have within that colony, but also when the best times are to exclude them. The law in many places prevents you from removing or trying to remove the maternity colony when pups are still present. How will you know when all bat pups are old enough to remove the nest? You won't know for sure, but you can check in as many ways as you can. Bats leave the safety of the roost at sunset or just after. They will return to the roost in the morning — when the sun comes back up again. This means that the roosting spot will be a crazy hive of activity in between those times, at night. If you were to head up into your attic (if that's where the bats are hanging out) and turn the light on, there's a good chance that a great portion of that bat colony would try to leave the space. They aren't keen on humans and they don't like bright lights too much either. They are nocturnal animals after all. If some of those bats do not leave, however, or you can still see baby bats in the attic, you have pups that are too young to be excluded. You will lock mother out, baby in, and the outcome for the latter will be death. We do not recommend that you get close enough to bats, a colony of them or otherwise, unless you have the appropriate safety gear, including a breathing mask, eye protection, and a complete suit. You should also make sure that you are not bitten by any of the bats. Their teeth are so tiny that you might not even realize you have been bitten if you have, and they are a very big problems as far as rabies is concerned, in some parts of the country. Go back to the Bat Removal page, or learn about bats in the attic with my Bats in the Attic guide. What is a bat's mating habits?